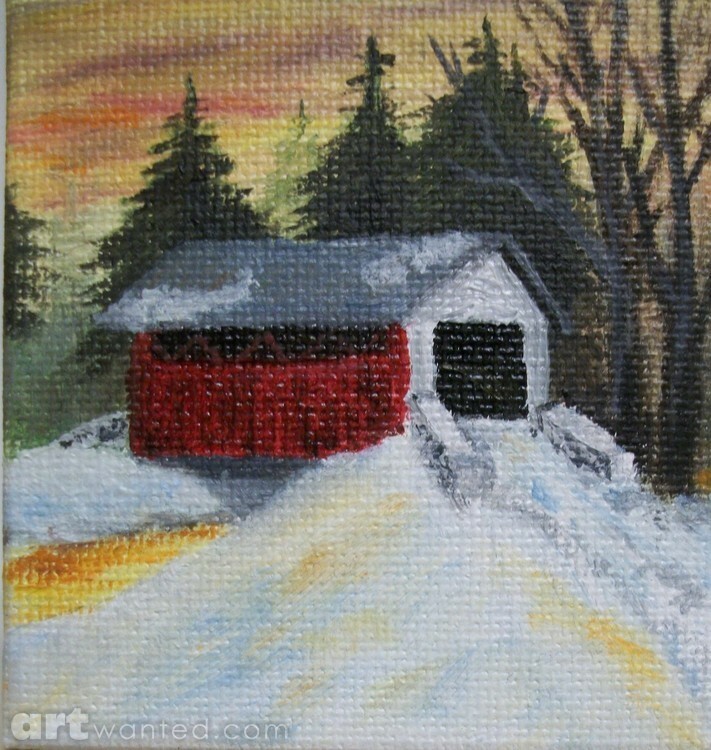 A painting of a covered bridge in winter at sunset. Fine Art Oil Landscape/Outdoor Covered Bridge Snow Trees Sky. Artist Reply: Thank you Vernonette. Artist Reply: Thank you Joanie.